Hawaii’s state auditor is accusing rail leaders of interfering with his office’s review of their financially challenged transit project. Rail officials, however, contend they’re just trying to protect their employees. 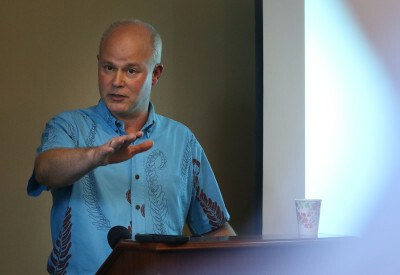 In blunt public testimony during Thursday’s Honolulu Authority for Rapid Transportation board meeting, Les Kondo said that HART staff members are being required to record their interviews with auditor personnel, then deliver those recordings to HART management to be transcribed. “This is an audit. It is not litigation. It is not discovery as part of a lawsuit,” he said, adding the recordings are “frankly unprecedented” for his office. 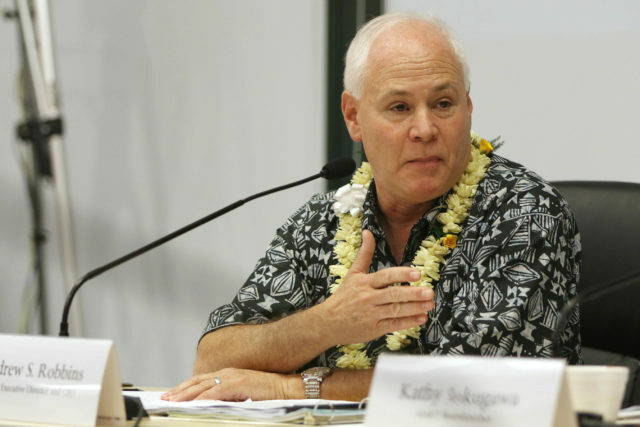 State Auditor Les Kondo is not happy with how HART is handling his audit of the rail project. HART board members often respond to general items raised by testifiers at their meetings. However, on Thursday Deputy Corporation Counsel Randall Ishikawa advised the board not to respond or ask Kondo questions because the matter was not on the meeting’s agenda. Some members, such as Terri Fujii, were noticeably frustrated they couldn’t inquire further. 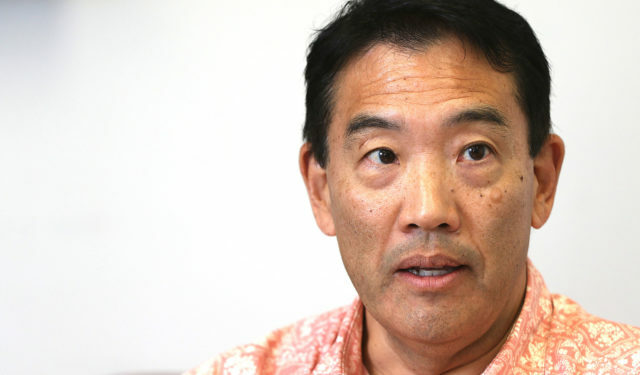 Update: State House Speaker Scott Saiki said Friday he’s OK with HART recording its employees’ conversations with the state auditor as long as there aren’t any state laws prohibiting such tapings during an audit. Kondo’s office is auditing HART as required under Act 1, the $2.5 billion funding package approved by state lawmakers last year to rescue rail from its latest budget woes. Lawmakers included the audit in that spending measure in hopes it might help restore public trust in the project. Under Act 1, the state auditor must review HART’s policies and practices, as well as rail contracts and spending, and then deliver its report to the Legislature by the end of this year. Essentially, the state is trying to answer one of the biggest questions surrounding Honolulu rail: How project costs swelled by more than $3 billion since late 2014. After the meeting, HART Executive Director Andrew Robbins said that Kondo mischaracterized why his agency’s employees are recording their sessions with the state auditor’s office. The auditor’s staff is already making its own tapes of the interviews — it’s a new policy under Kondo. But those copies are confidential and HART won’t have access. HART, Robbins said, wants to be able to verify what its own staff said when the rail agency responds to the auditor’s findings later this year. HART Executive Director Andrew Robbins says his agency is recording auditor interviews of its staff in part so it can verify what was said later if necessary. “They’ve already told us we’re going to have a very limited amount of time, like less than a week, to respond,” Robbins said. For its rail review, the state auditor’s office has interviewed four or five HART employees in the past several weeks, Robbins said. Initially, HART also required that its attorney sit in on the auditor’s interviews, but the agency backed off after Kondo sent a May 22 letter calling the move “highly unusual” and uncooperative. It’s not the first time HART has clashed with a public-sector auditor. In 2016, the agency’s then-executive director, Dan Grabauskas, held a press conference two days before a critical city audit was released and blasted the findings of City Auditor Edwin Young as rushed, inaccurate and politically motivated. Then-HART Executive Director and CEO Dan Grabauskas during his April 2016 press conference, when he blasted a city audit and said it shouldn’t be taken seriously. On Thursday, however, it was Grabauskas’ permanent successor — Robbins — who got taken by surprise by an auditor, this time with the state. Kondo said he just learned of the recordings and transcriptions on Wednesday after a couple of interviews with HART staff members. He then showed up in Kapolei for Thursday’s meeting. Before it started he was seen having animated conversations in the hallway with Robbins and several other HART board members and managers. Moments later, Kondo delivered his testimony. Afterward, he told Civil Beat that he wanted to alert HART board members of his concerns so they wouldn’t feel ambushed learning about the matter months later in his final report. Robbins said he would review Kondo’s objections with HART’s legal staff. It would likely be up to him to decide whether to keep recording the auditor’s interviews, he said. 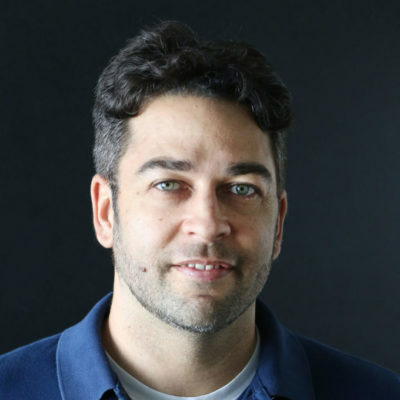 “He comes to the meeting and says what he wants to say to the board, but we haven’t really had a time to even consider his objection yet,” Robbins said. Kondo’s two recent appearances before the board in recent months, including Thursday’s, have each come with bad news for HART. During his public testimony in April, Kondo declared that HART might not be eligible for all of its funding under Act 1. That potential funding issue remains unresolved.